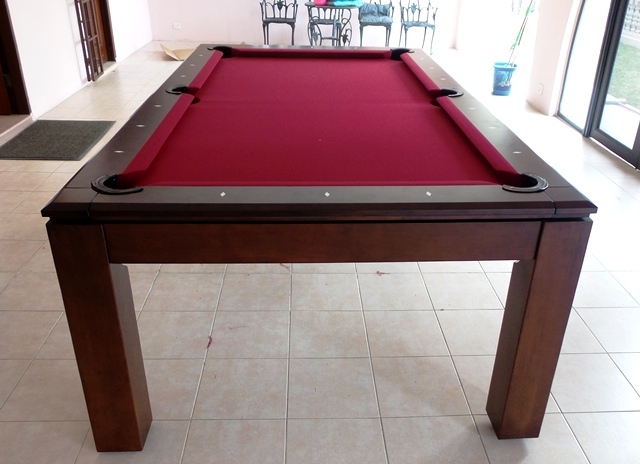 The Pranzo has been a popular model this year. 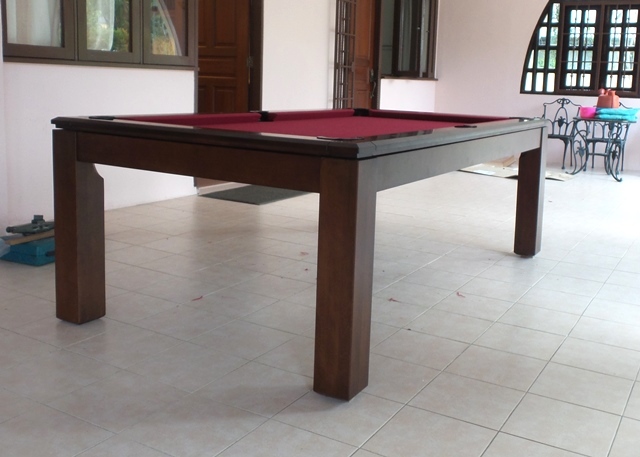 We set up this 7ft version in Damansara Heights earlier this week. 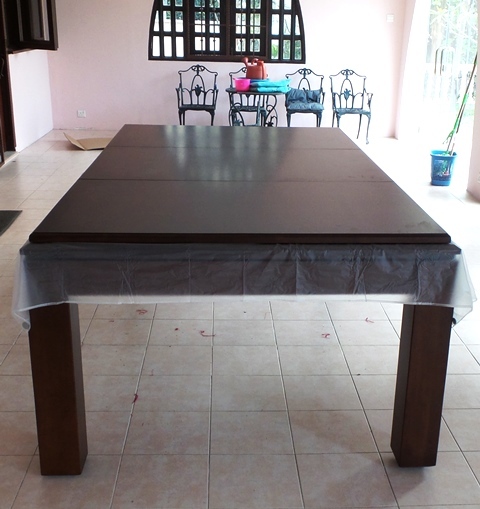 Looks really good with the burgundy colour playing cloth. 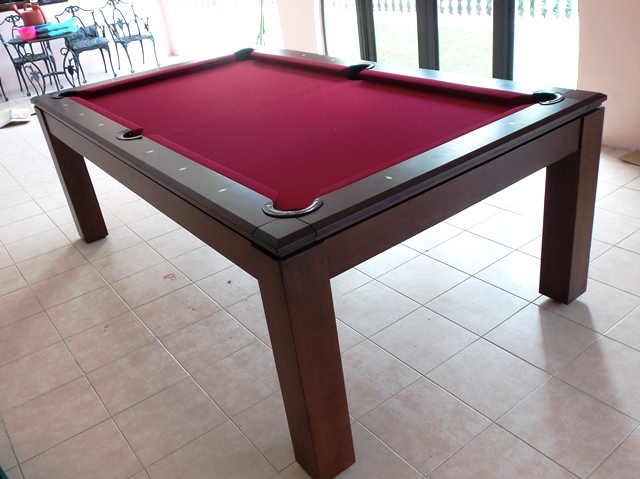 The Pranzo comes with a three piece solid wood dining top so you can easily turn your dining room into a games room. It may not be so easy to convince the wife that this is a good idea.